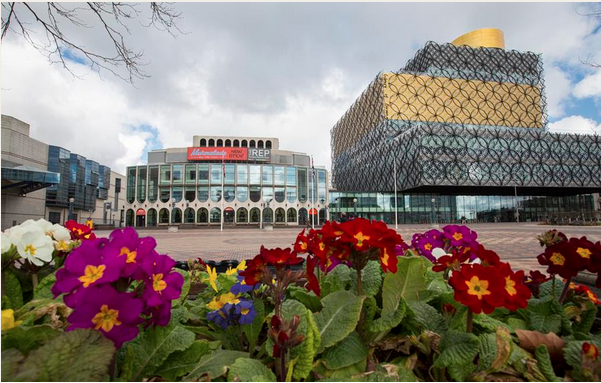 Birmingham Repertory Theatre and the Library of Birmingham have today announced a joint conferencing and events venture, Unique Venues Birmingham (UVB). Unique Venues Birmingham is a new commercial venture between the two nationally-renowned venues, which will unite the excellent conferencing and hospitality opportunities offered within the shared building on Centenary Square in the heart of Birmingham. UVB will be a wholly owned subsidiary of Birmingham Repertory Theatre Ltd, jointly governed by The REP and Birmingham City Council. It will consolidate the existing operations in each venue to provide one unique conferencing and events offering to both corporate and private clients. Jacqui Kennedy, Corporate Director for Place at Birmingham City Council, said: “This is an exciting venture, which is the next step of our already successful partnership with The Rep and will provide a distinctive venue at heart of Birmingham that will be able to offer the flexibility to host tailor-made events of any size and style. Heading-up the new venture as Commercial Director is Suzanna Reid who has led the conferencing and events arm at Birmingham Repertory Theatre since 2013 developing the theatre into a recognised destination within the commercial sector. Suzanna has 20 years experience in the events industry having previously worked for Conference Aston, Aston University and Kents Hill Park. In 2016 Suzanna oversaw 359 events at The REP, welcoming some 14,500 delegates to Birmingham. Unique Venues Birmingham will offer a range of flexible conferencing and events spaces for those seeking a dramatically different venue for their conference or event. The UVB portfolio includes three theatrical auditoria presenting huge dramatic and creative possibilities, a spectacular book rotunda, and a beautiful roof terrace with stunning panoramic views across the city plus the historic Shakespeare Memorial Room. A range of function suites and meetings rooms, complete with audio-visual technology, are also on offer across the shared building. UVB will create a number of new jobs.